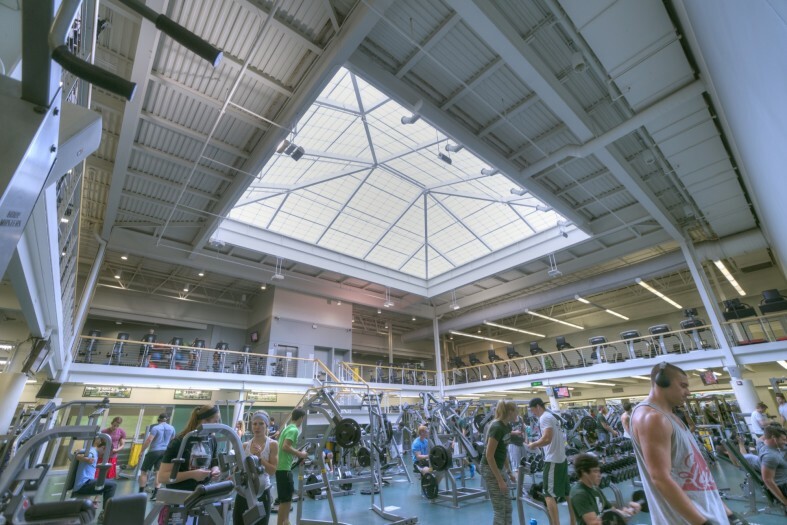 Active Spartans are bathed in light at this renovated recreation fitness building. 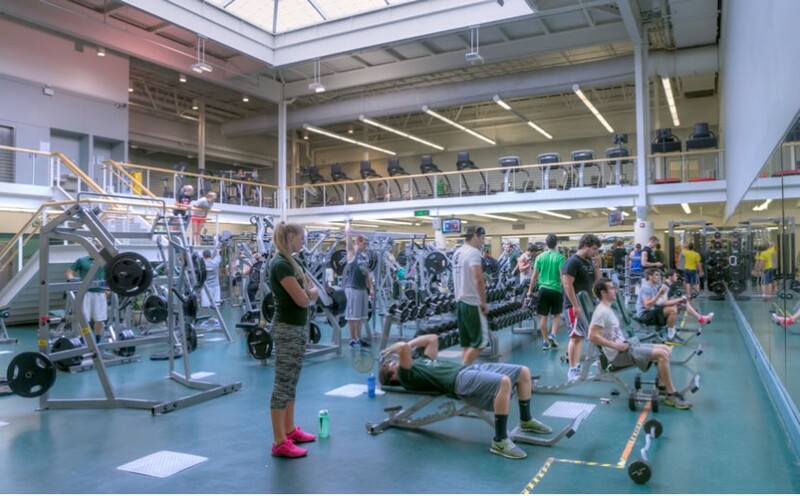 Through the years, the original 1958 building was altered as definitions of physical education, intramural sports and recreation changed. 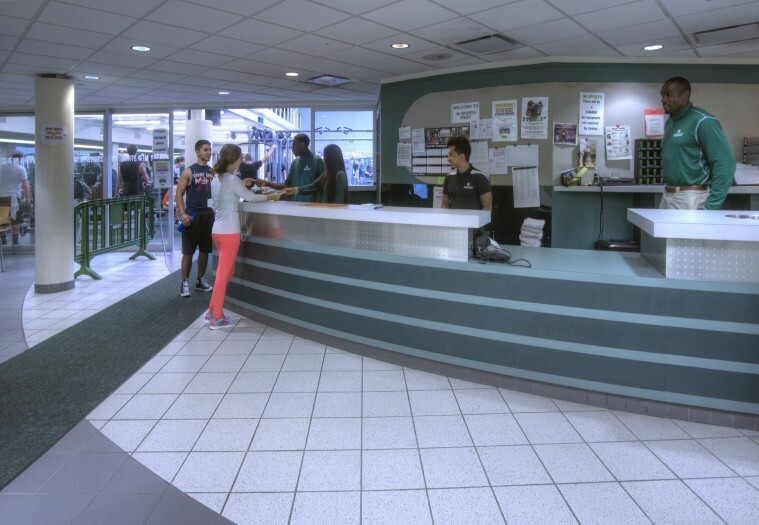 With the increasing popularity of recreation centers as a distinct building type, it became increasingly difficult for simple fixes to keep pace with the demands for change. 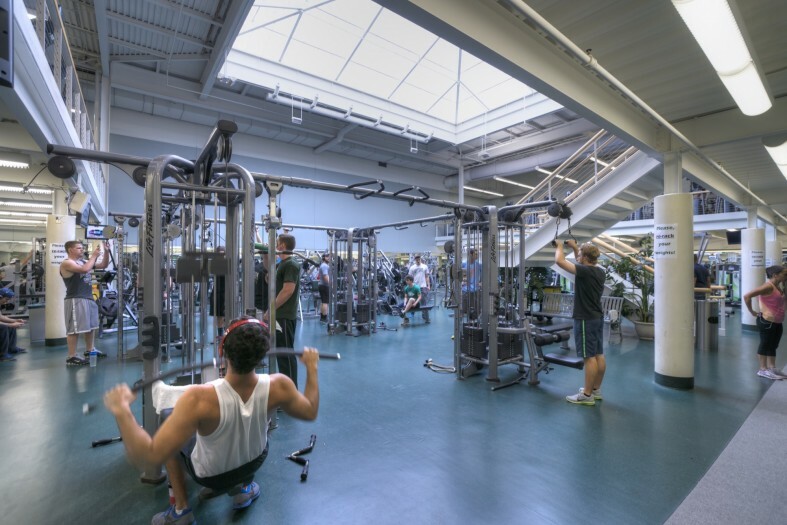 This redevelopment included the construction of a new fitness center in an existing outdoor courtyard. This two-story space added 10,000 SF of floor space for cardiovascular and muscle group training. A large skylight dominates this space, providing a generous amount of invigorating natural light.